Fabio Capello has had many labels throughout his prodigious managerial career; a pragmatist, a tactician and a fierce disciplinarian with a clarity of mind and an obstinate determination to succeed. He was, however, no yes-man and certainly no proxy for Silvio Berlusconi, AC Milan’s omnipotent president who, in 1991, entrusted the rookie Italian coach to take the reins at the Milanese giants. Upon taking control of Milan, the Italian press envisaged Capello as Berlusconi’s obsequious leader. He was, in fact, the antithesis. An intransigent man who would allegedly engage in stand-up rows with his players in front of the whole team, and he was equally unamenable to ‘Il Presidente’. The two may have discussed formations, or debated the inclusion of the precociously talented yet somewhat workshy Dejan Savićević, but it was Capello who ultimately decided which system Milan employed and the personnel filling those positions. Capello was a ‘Mister’ who commanded respect. Above all, however, during his five-year tenure at the San Siro between 1991 to 1996, Capello’s Milan were serial winners, bringing home four Serie A titles, one European Cup, one European Super Cup, two Italian Super Cups and an unbeaten record that stretched to 58 Serie A games between 1991 to 1993. Together, Capello and his players achieved what many thought impossible: building and even improving upon the club’s pioneering success orchestrated by the fabled Arrigo Sacchi. Under Capello, the Milanisti saw their team etch themselves further into Red and Black folklore. Under Capello, AC Milan became Gli Invincibili (The Invincibles). When Capello stepped in to replace Sacchi, AC Milan were arguably already the best team on the continent. Though the Diavolo had failed to win anything during Sacchi’s last season in charge, the previous three years had brought back-to-back European Cup successes and the club’s first Scudetto in nine years, wrestled from Diego Maradona’s Napoli during the 1987-88 campaign. 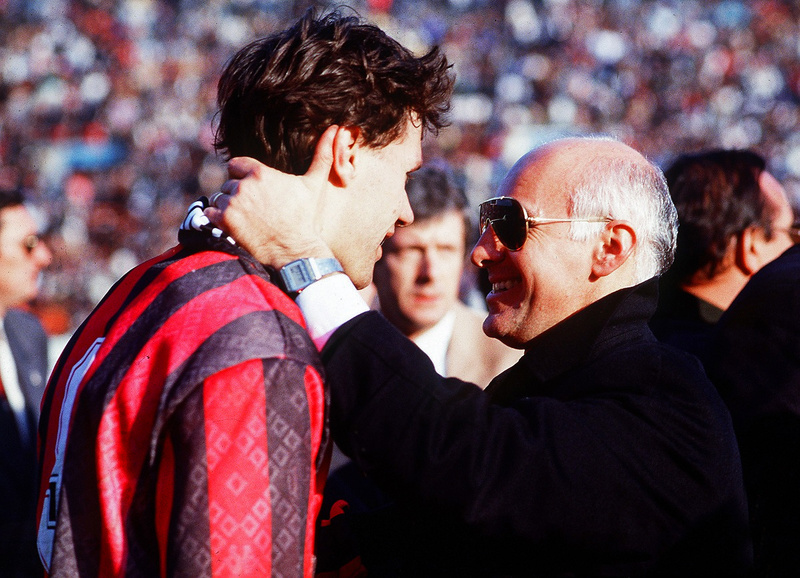 But Sacchi’s achievements at the San Siro transcended the silverware sitting in Casa Milan’s ostentatious trophy room. He revolutionised the way Milan – and for that matter, many Italian clubs – played the game. Out with Nereo Rocco’s Catenaccio and in with a new era of Total Football. Man-marking was abandoned and a strikingly high defensive line allowed Sacchi to employ an integrated system of pressing, a tactic that continues to resonate in Pep Guardiola’s Counter Press and the Gegenpressing of Jürgen Klopp. Sacchi’s famed doctrine of universalism was grounded in the idea that players should equip themselves with the skill-set to play in a number of different positions and be comfortable in doing so, facilitating a fluidity to the Rossoneri’s play. Moreover, Sacchi combined his tactical ingenuity with the ability to forge the right blend of players who “spoke the same language”. The dependable defensive quartet of Mauro Tassotti, Franco Baresi, Alessandro Costacurta and Paolo Maldini were the perfect foil to the bewitching Dutch triumvirate of Marco van Basten, Frank Rijkaard and Ruud Gullit. Sacchi’s Milan became a cult team. A team for the hipsters. While Sacchi was busy altering Calcio’s landscape, Capello took a hiatus from football but not from Milan. Incredibly, he dabbled in management of the baseball, ice hockey, volleyball and rugby sections of the club. However, when Sacchi fell out with van Basten in 1991 and delivered Berlusconi the “It’s van Basten or me” ultimatum, Capello was awarded his first full-time coaching role. Despite inheriting a talented squad, the new manager’s chances of maintaining his predecessor’s level of success were considered improbable. This belief was reinforced by the prevailing view that Sacchi’s gruelling training methods had taken their toll on the players. The squad was moribund. At least that is what people thought. In his seminal work on the history of football tactics, Inverting the Pyramid, Jonathan Wilson notes that Sacchi himself believed this to be true, after the tactician admitted: “I thought they were a great side near to their sunset boulevard, reaching the end of an unrepeatable cycle of success.” Perhaps he should have known better. After all, it was he who had laid the foundations for Milan’s subsequent success. It must be acknowledged that while Capello was inexperienced in terms of his years leading from the sidelines, his spells with Milan, both as a player and a coach at youth and assistant level, ensured that the club was part of his DNA. Indeed, whilst assistant to Nils Liedholm during the 1986/87 season, Capello had even briefly taken the helm after the Swedish coach resigned with six games remaining. This experience was vital to Capello’s immediate success. Unlike other novices in his position, Capello already commanded the respect of some of the Rossoneri’s key figures. He had coached Paolo Maldini at youth level and played with Franco Baresi towards the back end of his career, during which the latter had already seen enough to convince him of Capello’s aptitude for management. “He was already a coach on the pitch,” Baresi noted while speaking on Sky Sport’s series, Football’s Greatest. More importantly, Capello was shrewd enough to resist the temptation to implement sweeping reforms when he first arrived at Milanello. 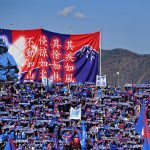 Sports writer and Italian football expert, Paolo Bandini, summarised this seamless transition as “much more a case of evolution than revolution”. Sacchi’s 4-4-2 formation remained and so too did the majority of the personnel. There were slight tweaks, including the signing of goalkeeper Sebastiano Rossi, the promotion of a 20-year-old Demetrio Albertini ahead of veteran Carlo Ancelotti in central midfield, and the conversion of Daniele Massaro from midfield to attack. Meanwhile, Capello’s coaching ethic focused more on the individual than Sacchi, allowing his players more freedom, especially in the forward areas. The subtle alterations worked to devastating effect. In Capello’s debut season, Milan won the 1991/92 Scudetto and went unbeaten in the process, winning 22 and drawing 12 in Serie A. Contrary to the view that Capello was, from the outset, more defence-minded than his predecessor, the Diavolo scored 74 goals and produced some memorable exhibitions of attacking football, beating Lazio 6-3, scoring five past both Napoli and Sampdoria, as well as destroying Zdeněk Zeman’s Foggia 8-2 on the last day of the season. 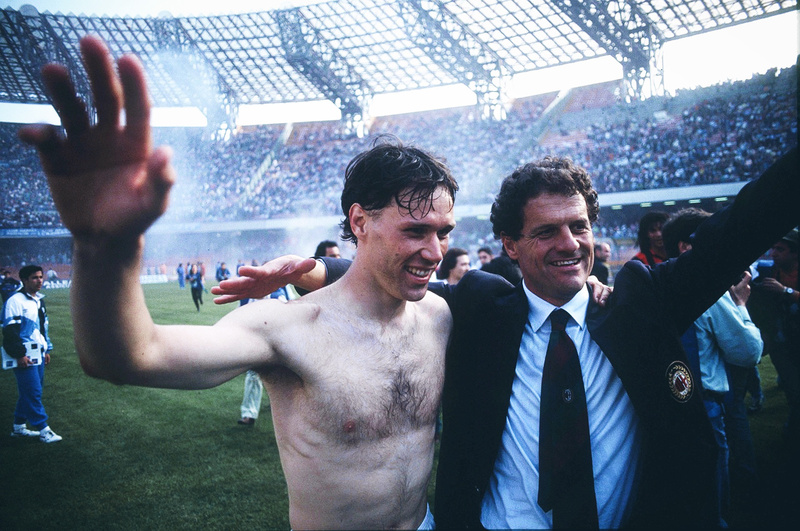 Capello’s Midas touch also reinvigorated Marco van Basten, who finished the season as Serie A’s top scorer with 25 goals. The Dutchman’s form vindicated Berlusconi’s decision to prioritise his prized striking asset and underlined the importance of keeping him at Milan. Of course, it is hard to know how much credit Capello should or shouldn’t be awarded for Van Basten’s form. The former Ajax man had hit 19 goals in a Serie A season twice under Sacchi. Nevertheless, individual flair is part of the Dutch footballing psyche and Capello’s willingness to tailor his approach helped liberate the likes of Van Basten from the collective constraints of Sacchi’s system. This harnessed the individual goal-scoring brilliance of the three-time Ballon d’Or winner. Buttressed by this ground-breaking first season, Capello was able to spend heavily in the consequent transfer window. He recruited a host of star names, including Marseille forward Jean-Pierre Papin, Dinamo Zagreb icon Zvonomir Boban, Torino’s sought-after Italian midfield prospect, Gianluigi Lentini, and the fantasista of Red Star Belgrade’s European Cup-winning side, Dejan Savićević. This wealth of options gave the Diavolo’s coach something of a headache when it came to selecting personnel, and restricted by Uefa’s three foreigners rule, Savićević was often used sparingly on account of his propensity for indolence. Capello had no time for superstars who shirked the industrious, less glamorous, side of the game. Whilst he and Berlusconi often locked horns over the Montenegrin’s non-inclusion, Milan continued to dominate domestically as they retained the title with a game to spare, finishing four points above city rivals Internazionale. As with the previous campaign, Capello’s men at times proved irresistible, beating Fiorentina 7-3 at the Stadio Artemi Franchi, as well as putting five past Pescara, Lazio and Napoli. Unlike their debut season, however, Capello’s Milan did show signs of vulnerability. On 21 March 1993, Parma ended the Rossoneri’s 58-game unbeaten run in Serie A with a 1-0 victory at the San Siro. It took a wonderful Faustino Asprilla free-kick to finally stun the Milanisti into silence. Gli Invicibili were suddenly mortals. Two months later, this vulnerability was exposed in more painful circumstances against Marseille, after the French champions snatched a 1-0 victory in the European Cup final in Munich. More poignantly, the defeat represented a symbolic end to Milan’s Dutch romance. Gullit had been omitted from the squad having seen his role under Capello become increasingly peripheral. This would pave the way for his subsequent departure to Sampdoria. Rijkaard played but also moved on after the final, returning to Ajax. As for van Basten, his worsening ankle condition was severely hampering his performances and though he played that night in Munich, he was clearly not match fit. 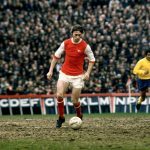 Hindsight is a wonderful thing, and there are few coaches throughout the annals of footballing history who would have been bold enough to drop a player of such calibre. However, as Paolo Bandini mooted, might things have gone differently had Capello simply accepted that Van Basten wasn’t good to go and adjusted his team accordingly? If the Capello epoch possessed a great regret, the defeat against Marseille and the manner in which things ended for the Dutchman wouldn’t come far off. As it was, van Basten’s injury sidelined him for the entirety of the 1993-94 season and eventually brought an end to his magisterial career in 1995. That night in Munich represented the end of an era for AC Milan. The absence of Milan’s Dutch trio forced Capello into a tactical rethink. Out with swashbuckling attacking football and in with pragmatic, defensive, fortitude. While the 4-4-2 set-up ostensibly remained, the Rossoneri boss tweaked things once again. Christian Panucci was brought in to reinforce a back four still led by the steadfast pairing of Baresi and Costacurta, while Marcel Desailly arrived to replace Rijkaard in the centre of midfield. This heralded the creation of a specialised position for which Capello would later become renowned; the holding player who sits at the base of the midfield and shields the back four. Ironically, the Ghanaian-born Frenchman had been inadvertently scouted by Milan’s former sporting director, Ariedo Braida, who had travelled to Marseille with the intention of watching future Lazio forward, Alen Bokšić. However, Desailly impressed and upon arriving at Milanello, the newly-converted defensive midfielder became an integral piece to Capello’s newly configured puzzle. As Jonathan Wilson notes, the adoption of such a specific role for an individual player was anathema to Sacchi’s universalism. This tactical adjustment symbolised the shift from the attack-minded football of Sacchi and Capello’s early years to a conservative system which revolved around bolting the back door shut and snatching a goal at the other end. After all, Capello had always been an admirer of Nereo Rocco. Consequently, Capello’s 4-4-2 system was often played in a 4-1-4-1 configuration, with Desailly occupying the base of the midfield and one of Milan’s two attacking players from Massaro, Marco Simone, Brian Laudrup, Papin and Savićević dropping deeper to compress the midfield. It may not have been aesthetically pleasing but it was certainly effective. Milan conceded just 15 goals in 34 league games as they won a third straight Serie A title, keeping a staggering 21 clean sheets along the way. But such stern defence was detrimental to their formerly free-flowing attack, exemplified by the meagre 36 goals mustered throughout the campaign. Indeed, throughout the 1993/94 season, 1-0 became the scoreline of choice for Capello’s men, winning by that margin nine times. While this outlook would undoubtedly have been considered unpalatable by Capello’s opposite number in the 1994 European Cup final, Johan Cruyff’s Barcelona side would soon discover their opponents had not forgotten the mores of Total Football. With both Baresi and Costacurta missing the final through suspension, many felt the Italian’s stood little chance against a Barcelona team that boasted the attacking flair of players like Romário and Hristo Stoichkov. Indeed, the reputation of Cruyff’s Barcelona was such that they had earned the rubric, ‘The Dream Team’. In the build-up to the game, the Dutch coach had all but written Milan off, haughtily criticising their “boring” and “defensive” style. However, Capello’s men produced a performance that was completely out of keeping with their season, dismantling Barcelona 4-0. That night in Athens the roles were reversed. The Catalan giants were suffocated by Milan’s high press and unhinged by their incisive passing. Savićević, in particular, starred, creating Massaro and Milan’s first and scoring a nonchalant lobbed volley for his side’s third. It remains one of the European Cup’s iconic strikes. Perhaps as commendably, Capello had managed to convince his number 10 to combine his guile as a fantasista with the altruistic work the Italian demanded of his forwards. Indeed, it was Savićević’s willingness to chase down a lost cause that allowed him to win the ball high up the pitch and score his memorable goal. The manner of the victory was a testament to the creed of Capello and his Milan side. After three years, they had their hands on the European trophy they so richly deserved. Milan’s domestic dominance was brought to a grinding halt by the resurgence of Juventus during the 1994-95 season. Having undergone a renaissance under Marcello Lippi, the Old Lady of Italian football swept all aside and ended a nine-year baron spell without Lo Scudetto. They finished 10 points above their nearest rivals Lazio and like the Milan of Capello’s debut season, Juve’s balance of uncompromising defence and devastating attack proved a potent cocktail. Indeed, that Lippi managed to combine an attacking trident of Alessandro Del Piero, Gianluca Vialli and Fabrizio Ravanelli was proof of the tactical balance and quality of this particular Bianconeri side. Milan, meanwhile, finished a disappointing Serie A campaign in fourth place. This was compounded by yet another agonising defeat in a European Cup final, this time against Louis van Gaal’s talented Ajax side. In order to achieve such a feat, Capello was under no illusions that his side needed to match Juve’s firepower going forward. 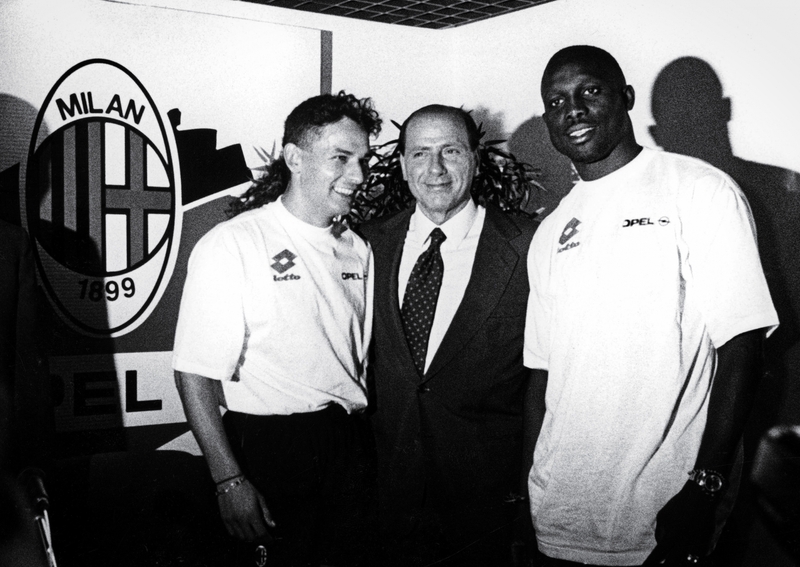 Still able to call on Berlusconi’s riches, Milan recruited two veritable superstars in Roberto Baggio and George Weah. The duo bolstered the existing options of Paolo Di Canio and Marco Simone, and with the creativity of Savićević, Boban, Albertini and Roberto Donadoni in behind them, the Diavolo now had the firepower to reconquer the Scudetto. Though Milan’s Mister did not abandon his pragmatic preoccupation with defensive focus, he became more experimental with his tactics. The 4-4-2 formation remained a leitmotif, with Baggio and Weah leading the line. However, Capello also sampled a Christmas Tree shape, with the Liberian as the lone striker, or Prima Punta. 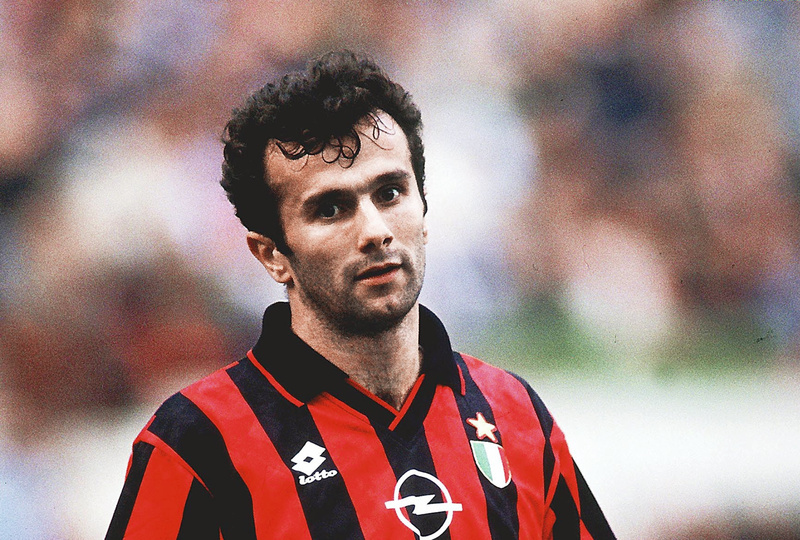 This allowed the playmaking capabilities of both Baggio and Savićević to be maximised, the latter for whom Capello increasingly accommodated, playing him either off the left or as a trequartista behind Weah. Milan won the 1995/96 Serie A title at a canter, finishing eight points clear of Juventus. Much like Capello’s first season at the club, his side signed off in style, demolishing the already relegated Cremonese 7-1. Having brought success back to the San Siro, Capello sensed it was time for a new challenge, moving to another colossus of the European game, Real Madrid. In truth, it was a prudent move. The incredibly high level of focus and intensity expended to keep winning year after year had taken its toll. Milan had finally reached the end of an unparalleled cycle of success. Burnt out, they finished a dismal 10th the following season, after which both Baresi and Tassotti retired to truly rubber stamp the end of a glorious era. Though Capello returned to Milan for the 1997/98 campaign, the reunion quickly substantiated the old adage that one should never attempt to rekindle past romances. The Diavolo finished 10th once again and despite his previous achievements at the club, Capello was sacked. Capello’s Milan succeeded during a time when calcio ruled the world. It was an era during which Italian football produced not just one, two or three footballing powerhouses, but seven powerful sisters: Juventus, Inter, Roma, Lazio, Napoli, Fiorentina, Parma, and of course, AC Milan. That they were able to win four Scudetti, one European Cup and reach three successive European Cup finals in five years is measure enough of the grandeur of this team. Capello himself deserves plaudits for inspiring an already successful group of players to scale even greater heights. He later made the required tactical and personnel adjustments to guarantee continued success, whatever the means. And of course, Capello’s side will always be remembered for their sumptuous players – from Gullit, Van Basten, Rijkaard, Savićević and Weah, to Baresi, Tasotti, Maldini, Desailly and Albertini. But it is also important to pay tribute to a man who has so often played the role of pantomime villain: Silvio Berlusconi. The media tycoon was not only the side’s patron but also the brains behind two of the most important managerial appointments in the history of AC Milan football club. He hand-picked Sacchi and then entrusted Capello to continue the cycle. Despite their supposed inexperience, Berlusconi’s instincts were triumphantly vindicated. Thus, while we are often quick to remember the revolutionary and enchanting football of Arrigo Sacchi, from a result’s perspective, Fabio Capello’s Milan were unquestionably more successful. That is not to suggest that they should be celebrated above and beyond Sacchi’s side, nor should the results and philosophical dichotomy blur the greatness of either coach and their respective Milan teams. Instead, we should celebrate both with equal measure, and continue to appreciate the truly stunning achievements of AC Milan during the Football Italia years. With thanks to Paolo Bandini for his time and expertise.